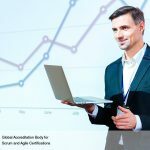 Is SBOK Guide relevant only for Scrum Master Role? Professionals who want to implement Scrum in their organizations, usually ask – ‘What are the recommended books if we had a team of developers who are usually new to Agile and Scrum?’ That is, there are currently lot of books in the market that target only a specific audience (e.g., a Scrum Master) and do not consider the interactions required between different Scrum roles to make Scrum work effectively. Which book or guide would you give them to improve their knowledge about Scrum and make them understand the tasks they should be doing in a Scrum project? This is tricky question to answer as it is quite generic. However, A Guide to Scrum Body of Knowledge by SCRUMstudy, provides Scrum guidelines and knowledge relevant for each of the core Scrum roles – Product Owner, Scrum Master, and the Scrum Team. If you don’t have time to read the complete book, you can read the sections relevant to your role as per the details in the ‘Roles Guide’ topic mentioned in each chapter. 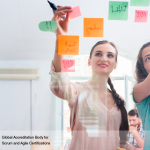 The SBOK™ Guide was developed for organizations and professionals who want to implement Scrum or those already doing so who want to make improvements to their Scrum processes. It is intended for use as a reference and knowledge guide by both experienced Scrum and other product or service development practitioners, as well as by persons with no prior experience or knowledge of Scrum or any other project delivery methodology. 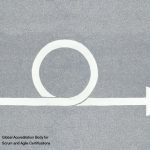 The first chapter of the SBOK™ Guide and a free introductory course about Scrum is available at SCRUMstudy. Try these resources and if you find it relevant, you can order a physical copy of SBOKTM Guide. Is there a recommended way to use the SBOK?